Enjoy safe and clean drinking water wherever you go. The new S1 filter from Sawyer is equipped with an open cell structure impregnated with active carbon. This protects you from possible bacteria, chemicals, protozoa or pesticides in the water. Enjoy safe and clean drinking water wherever you go. 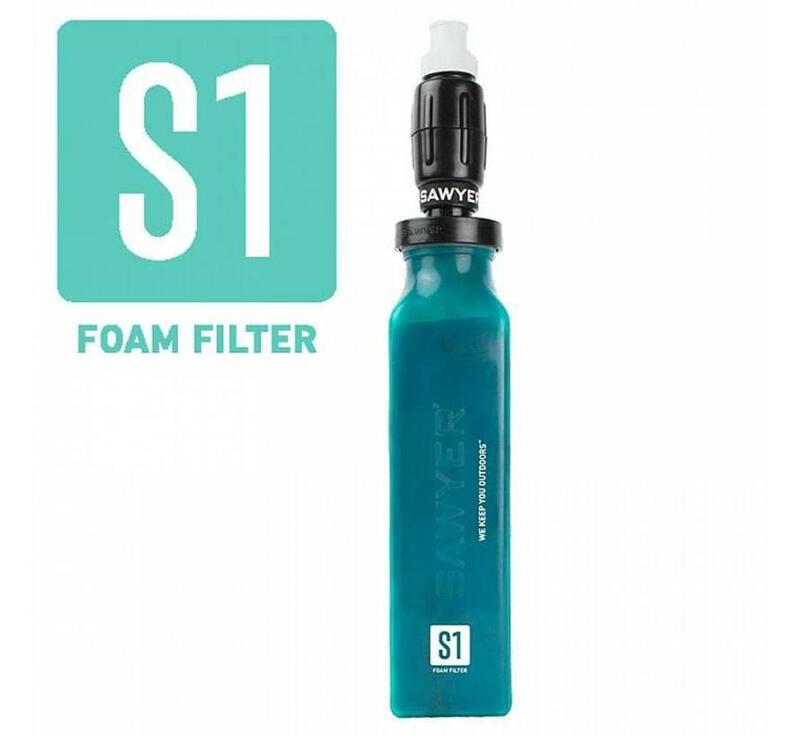 The new S1 filter from Sawyer is equipped with an open cell structure impregnated with active carbon. This protects you from possible bacteria, chemicals, protozoa or pesticides in the water. The squeeze water filter is about 3.7 million liters. The activated carbon reservoir lasts approximately 1600 times. This comes down to about 0.05 cents per use. - Fill the tank with (unfiltered) water. - Screw the water filter onto the reservoir.